Download a theme from the internet onto your local computer; then upload it via the WordPress Dashboard. Search for a theme via the WordPress Dashboard Themes section. In the left-side navigation menu, click Appearance > Themes. Along the top of the screen, click on Install Themes. From here, you can browse all available WordPress themes or search by a specific keyword, author or tag. 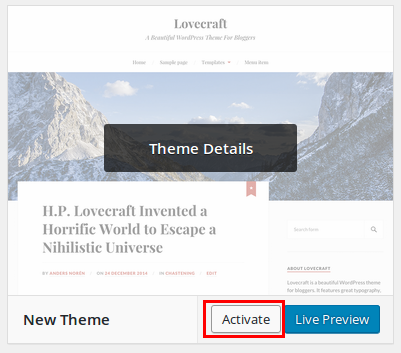 After downloading a theme through your preferred method, there are two possible ways to install the theme on your WordPress site. Note: Not all WordPress themes are compatible with the latest version of WordPress. 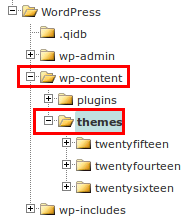 Be sure the theme being installed is compatible with the version of WordPress installed. 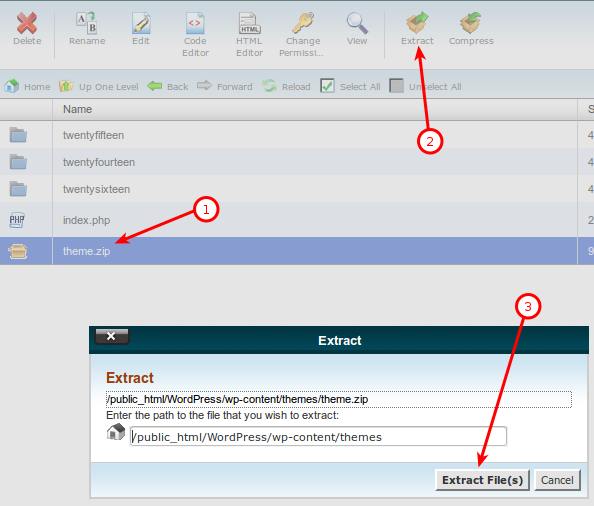 Log into the WordPress Dashboard via http://example.com/wp-admin.php or http://example.com/wp-login.php. Replace example.com with your actual domain. From the left-side navigation menu, click Appearance > Themes. Along the top of the screen click the Install Themes tab. Click Upload, select Browse and navigate to the appropriate file on your computer. Be sure the files are compressed in a .zip format. If the WordPress theme install experiences issues, it is possible to manually install a theme by uploading it directly to your server. Open File Manager in cPanel or connect to your server with an FTP client. Select Appearance -> Themes from the left hand side menu.